The ethereal bouquet shows elegant notes of violet and toasted oak nuances. Bold fruit flavors envelope the palate with a velvety, elegant texture and long finish, it is dry and full in style. This Riserva benefits from extensive aging in a combination of Slavonian and French oak barrels. Named for the Renaissance town of Montepulciano, the term nobile has historical roots in the original practice of reserving this wine exclusively for the aristocratic families of the area. 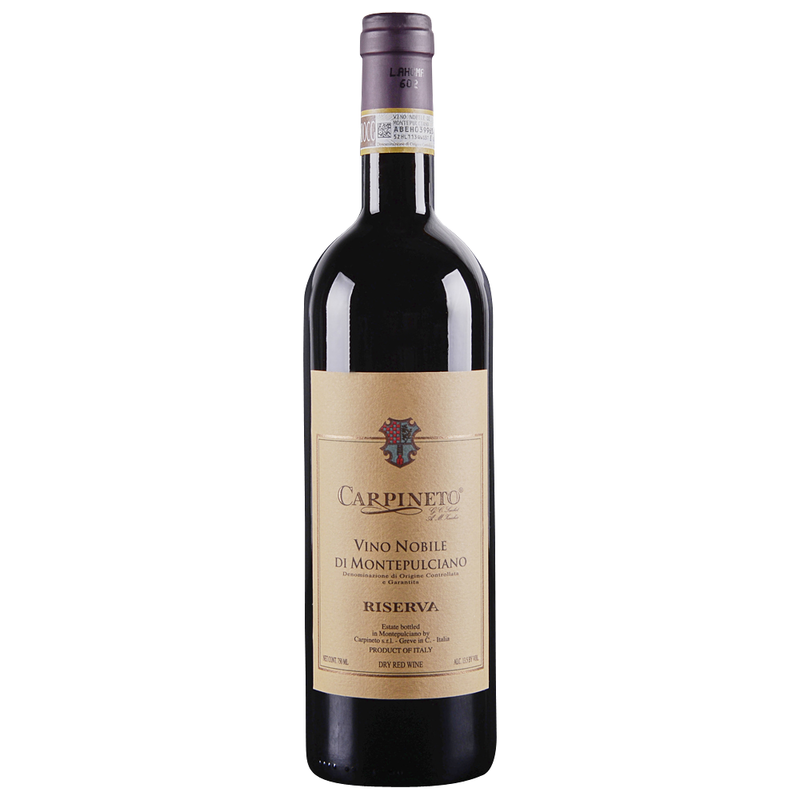 Carpineto’s Vino Nobile is produced from fruit harvested exclusively from their Montepulciano Estate.